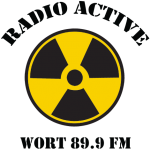 Music Featured on the February 21, 2013 edition of “Anything Goes” Hosted by Rich Samuels on WORT 89.9 fm, Madison, Wisconsin. 5:10 am: The Roman Carnival Overture by Hector Berlioz, performed by the Madison Symphony Orchestra conducted by John DeMain. 7:10 am: Trumpeter Allen Vizzutti performs his own composition “The Carnival of Venus”.Laura Vincen Vizzutti provides the piano accompaniment. 7:22 am: The final movement (“Movimento due” of Joseph Koykkar’s “Musica per Due” performed by Sole Nero (Jessica Johnson, piano; Anthony di Sanza, percussion). 7:30 am: The Wisconsin Brass Quintet performs “Suite Americana” No. 1 by Enrique Crespo. 7:57 am: Paul Whiteman’s Orchestra performs Harry Warren’s “So This is Venice”. Recorded in 1924.